Want to save a vital piece of Star Wars history, and etch your name in that vaunted mythology in the process? Sand dune movement in Tunisia is threatening original sets used to stand in as Tatooine in multiple Star Wars movies, notable Star Wars: Episode IV - A New Hope. And now CNet is calling attention to an effort by the Tunisian tourism ministry and the CDTOS (Tourism Chamber for the Oasis and Sahara regions) to raise enough money to "keep the Mos Espa from being swallowed by the desert like a sarlaac swallowing a ne’er-do-well bounty hunter." We reported a while back about the existence of these old New Hope sets – which also were used in The Phantom Menace -- when they were photographed by Ra di Martino. We speculated that J.J. Abrams, in an effort to return to practical effects in Star Wars: Episode VII, might want to return to these locations and use some of the existing sets and props. If he plans on doing so, he better hurry! 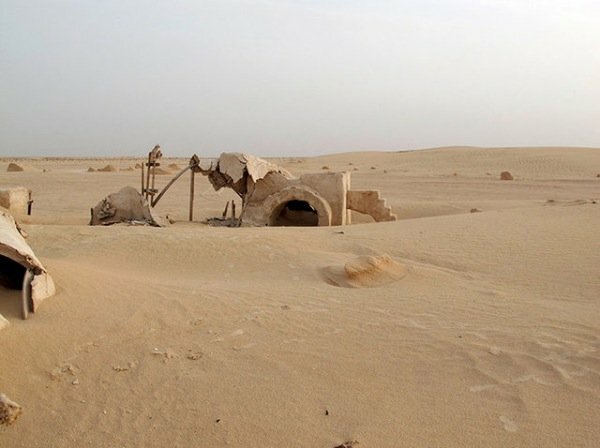 Australia’s ABC News spoke with Nabil Gasmi, a representative from one of the tourism groups involved in the campaign to preserve this piece of Star Wars history, and was told, "Mos Epsa is located in a very windy region, threatened by sand dunes which the wind moves by around 15 metres a year. One dune has already buried 10 percent of the Star Wars site. We managed to remove 8,000 cubic metres of sand in 12 days. Unfortunately some of the set has already collapsed." The Tunisian state has allocated $107,000 to the preservation project. The committee hopes to raise the rest of the money needed to save the sites from Star Wars fans around the globe. 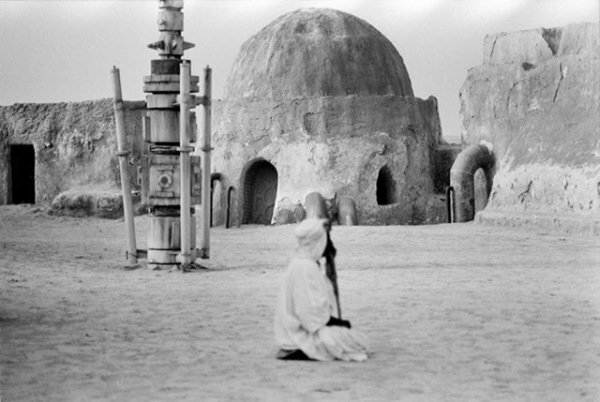 CNet reports that an Indegogo project has been launched at this page to "Save Mos Espa." The goal is to raise an additional $45,000. At press time, only $2,415 has been raised. Those willing to part with $1,000 in donations will have their names carved on a special commemorative panel that will rest near the Mos Espa location in the Tunisian desert. What’s cooler than that? 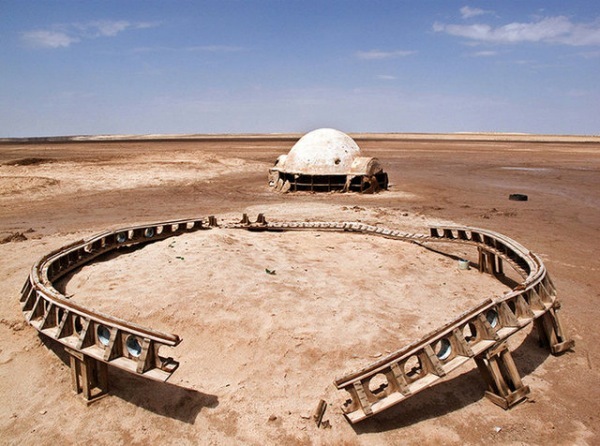 Click the above link to donate, and be a part of Star Wars film history forever… or until the sands eventually swallow your sign of charity.